WHY: Lingerie and loungewear at up to 85% off retail at the Samantha Chang Lingerie Sample Sale. Silk and modal jersey robes, nighties, chemises, camisoles, shorties and pajama pants, bodysuits, bras, underwear and more. Perfect to get your Mother's Day gift. Major credit cards & cash accepted. Samantha Chang Lingerie is a modern and contemporary collection. 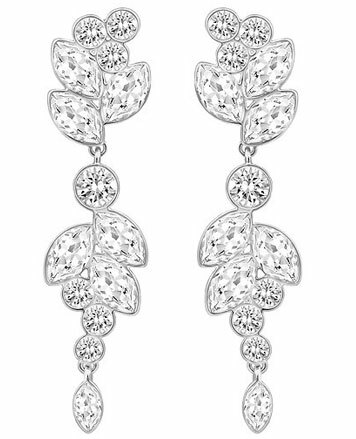 The collection is feminine and includes uncomplicated silhouettes with beautiful details and finishing. Samantha incorporates comfortable fabrics, harmonious colors and playful prints. Samantha's customers enjoy wearing her creations for lounging, sleeping and entertaining! The collection is available at specialty stores, premier lingerie and contemporary boutiques around the world. Classic styles starting at 40% off! No code needed. WHY: Lingerie, swimwear, beachwear, nightwear, and accessories at a discount at the Morgan Lane Sample Sale. Morgan Lane is a luxury lifestyle brand inspired by the little doll in you. 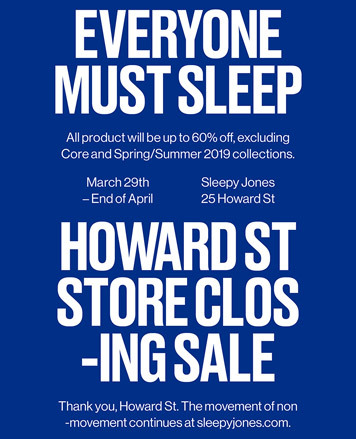 WHY: All product will be up to 60% off, excluding Core and Spring/Summer 2019 collections at the Sleepy Jones Howard Street Store Closing Sale. Includes core styles that have never gone on sale before, rare pieces from the archive, and one-of-a-kind samples. Sleepy Jones was established in 2013 by Andy Spade and long-time collaborators Anthony Sperduti and Chad Buri. After years of working together at kate spade, Jack Spade and Partners & Spade, the three set out to create a company that believes in the virtues of tinkering and pondering. The result was a collection of sleepwear, underwear and not-quite-ready-to-wear for men and women inspired by the lifestyles of artists. Essentially, an everyday uniform for reading, writing, painting and playing – whether you’re in or outside the bedroom. Up to 75% Off Sale at INTERMIX: When you take an extra 30% off markdowns for a limited time. Online only. Up to 70% OFF Josie Natori sleepwear and intimates. WHY: Shop discounts on women's ready-to-wear, intimates, and loungewear at up to 80% off retail at the Eberjey Sample Sale. Know before you go. Check out Eberjey Sample Sale in Images. Eberjey was born in 1996 from the belief that the layer worn next to the heart should express happiness, love and confidence­ all the things that make a woman truly beautiful. Noticing a distinct lack of lingerie that spoke to this belief, co-founders Ali Mejia and Mariela Rovito, then colleagues at a global advertising agency, ventured to fill this void by creating pretty underthings that flattered real bodies and felt good too.